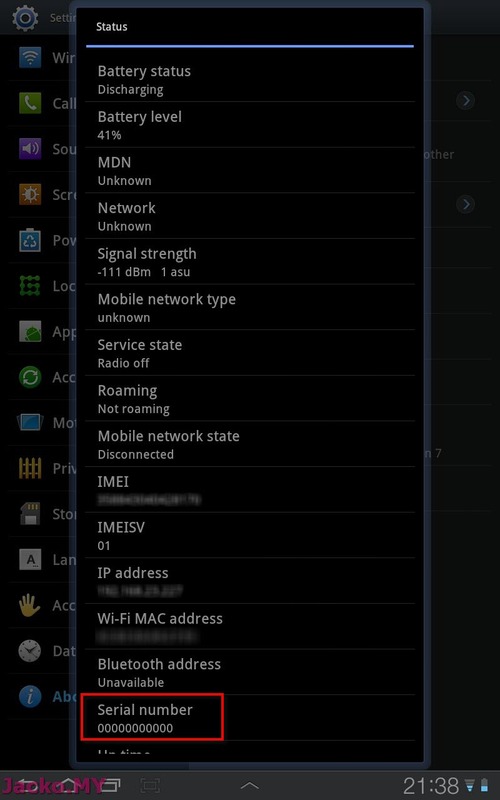 I talked about the soft brick problem I was (and am) suffering on my Samsung Galaxy Tab 7.7. 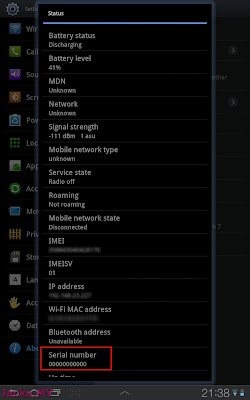 And I want to reiterate that this is not an isolated problem to SGT7.7 (or GT-P6800 model), it happens to many other Galaxy models like I mentioned in my previous post. It seems that the root cause has been identified to be hardware problem, in particular the eMMC is the culprit to the problem. 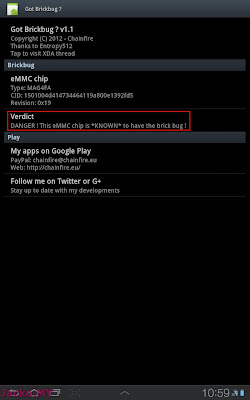 Apparently, your Samsung device might hit into soft brick or hard brick forever when the operating system or application erases the eMMC with a specific WRITE command. The software is simply called Got Brick Bug? See the result from the SGT7.7. 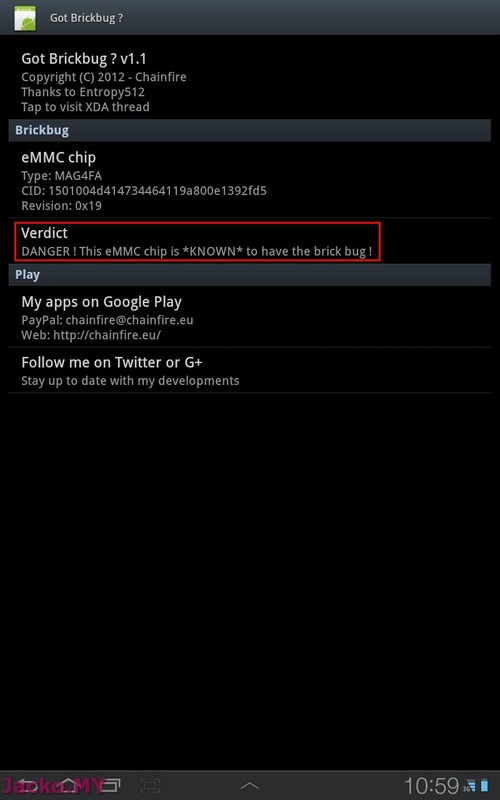 Yes, it has the known bugged eMMC chip! Take note that you might lose the serial number in the Settings > About Phone > Status if you send for main board replacement. Here is the original thread that contains the apk installer. Download to your device and try it out.